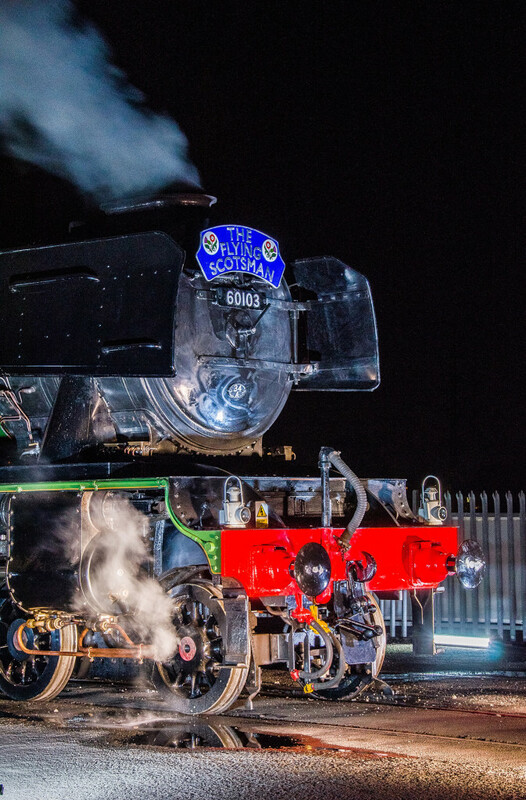 Pulsar was presented with the pleasant challenge of illuminating the Flying Scotsman to create a dramatic and atmospheric effect on its return to The National Railway Museum. The bill was to be ensure “bright and of ultra high quality for photography, as well as being unobtrusive”. The task was made increasingly difficult as the lighting had to be set up and packed away each evening with only a 30 minute window to do so. The solution needed a large amount of light in the right place to be successful. 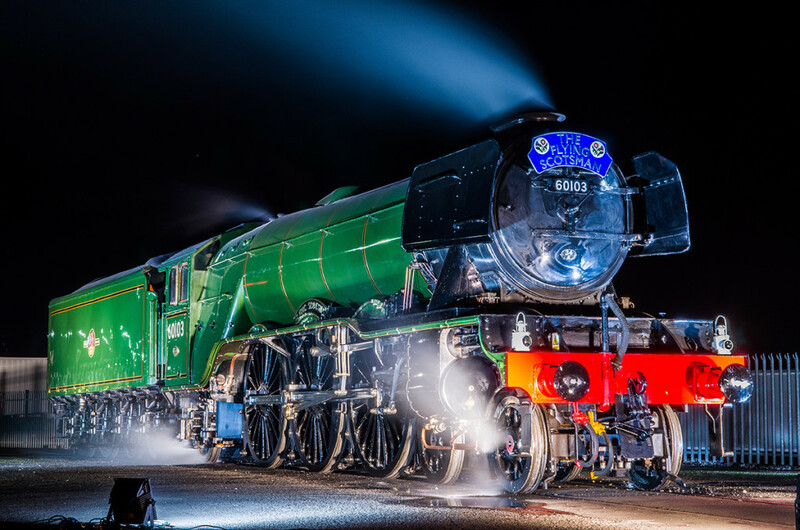 Any large object, such as the Flying Scotsman in its painted livery, effectively absorbs light. i.e. light reflects and bounces all over the place, reducing the impact of what you (and your eye see). The fixtures used needed to by substantial enough to withstand knocks, bangs, kicks and moving in and out each night. With all this in mind, fixtures also must be 100% reliable and configured to operate in exactly the same way each time it was switched on, ensuring correct colour balance for the subject as well as the camera. We used a selection of linear and flood products, all of which boast Pulsar’s unique control system, which can interface with practically any form of networked lighting control available and in use today. All of the fixtures used provided Pulsar’s unique and native 100% flicker free operation, there is no software with Pulse Width Modulation (PWM) in our products, so no out of the camera eye flicker is seen, which is a common dimming method used by our competitors today. The – Luxeos36 is the largest of our new flagship range, the only three loan units available globally and it was a treat to be able to use them. These are very advanced in terms of lighting and controlled LED lighting fixtures. They have a effectively infinite beam angle, from native 10 degree to over 90, 110 degrees in almost 1 degree increments. In this application they were used in their native 10 degree mode, to illuminate the mechanics and workings of the subject at low level. 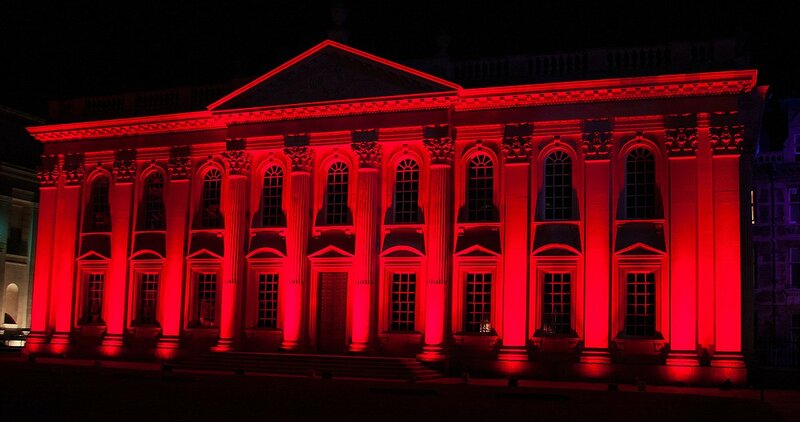 These fixtures are fitted with revolutionary Luxeon Quad Colour LED Chips, that means we run Red, Green, Blue and White behind the lens to provide a much greater selection of colour and colour balance than we have ever been able to provide before. They are one of the most powerful colour changing architectural flood lights available on the market today, boasting and output in excess of 10k lumens with a consumption of only 300 watts. These linear products were fitted with 10×90 degree lens sets, to spread the light wide but remain narrow enough to not allow too much light spill (wasted light) over the top of the subject. These were configured with Pulsar’s unique TriColour LED technology, mixing red, green and blue to form a subtle yet complimentary white. 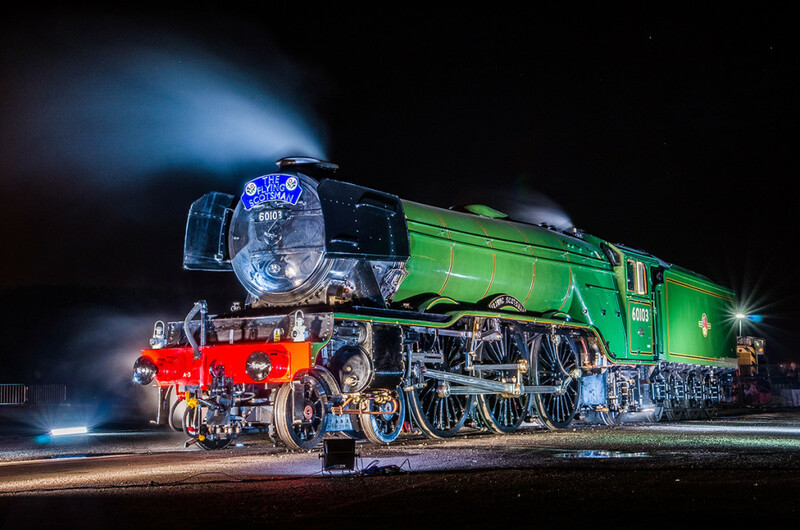 The ChromaFlood products were used to pick out large key areas of the Flying Scotsman from the front to the rear, and give dimension by side lighting. 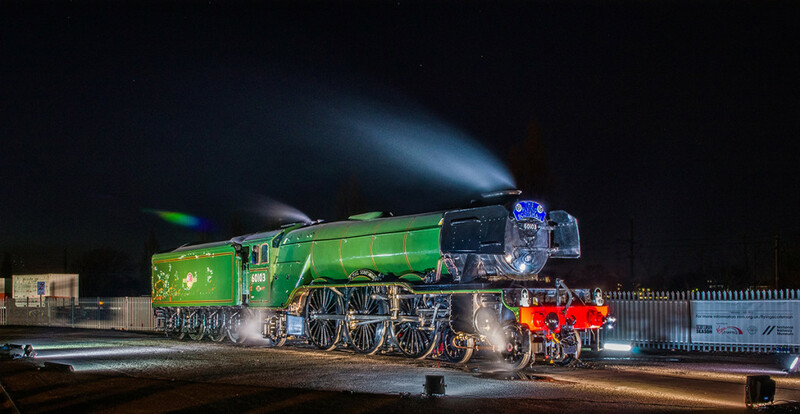 The ChromaFloods were fitted with conical 45 degree lens sets, which provided a very good and even flood of light where it was required. These products were also fitted with Pulsar’s TriColour LED technology, mixing red green and blue to form a subtle yet complimentary white. Images Courtesy of Ian Cook.